Record-breaking polar explorer Ben Saunders will set out to make the first solo and unsupported crossing of Antarctica in November, with support from JLR. This west-to-east traverse from Berkner Island to the Ross Ice Shelf via the South Pole and the Shackleton Glacier was planned by Ben’s close friend Lt Col Henry Worsley, who nearly completed the expedition before falling ill and dying in hospital in Chile in January 2016. The journey remains unfinished. 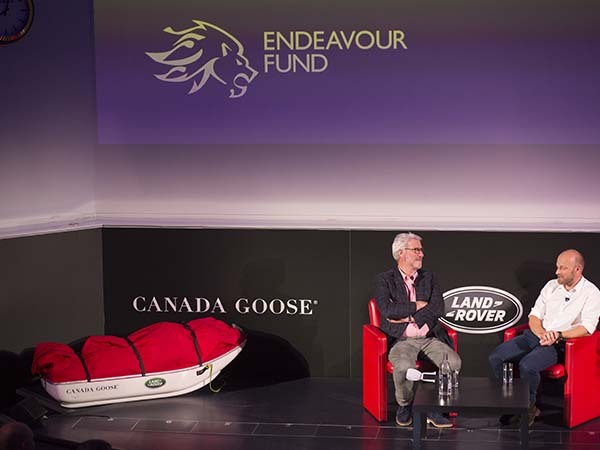 Ben Saunders, who in 2014 completed the longest ever polar journey on foot, announced his expedition at The Royal Geographical Society in London, on 26 September in conversation with broadcaster and journalist, Jeremy Paxman. Paxman – a passionate polar history enthusiast – interviewed Ben on his previous polar achievements and this next audacious journey in the coldest place on earth. Land Rover was one of the title partners of Ben’s last expedition, and Ben has been a Global Brand Ambassador for Land Rover for nearly a decade. He is one of the world’s leading polar explorers, and a record-breaking long-distance skier who has covered more than 6,000km (3,700 miles) on foot in the Polar Regions since 2001.